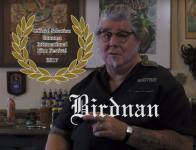 Archive by category "TAT Blog"
The short Comedy titled “Birdnan” an funny story told by Shotsie Gorman of a misspelled large old english lettering across a clients back. 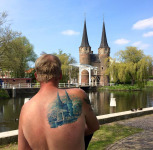 Holland most famous building now a tattoo! On sale today ! Check the newsstand today for this issue og Flash! 50 OF THE MOST INNOVATIVE TATTOO ARTISTS ON THE PLANET! The Ugliest Tattoo Contest in the Press Democrat!